The 4th & Macdonald Temporary Community Garden is a temporary growing space in the Kitsilano neighbourhood of Vancouver, BC, Canada. The Broadway & Alma Temporary Community Garden is a temporary growing space in the Point Grey neighbourhood of Vancouver, BC, Canada. The Cambie & 16th Temporary Community Garden is a temporary growing space in the Cambie Village neighbourhood of Vancouver, BC, Canada. The Atlin & 29th Temporary Community Garden is a temporary growing space in the Renfrew-Collingwood neighbourhood of Vancouver, BC, Canada. The Alma & 10th Garden is a temporary growing space in the Point Grey neighbourhood of Vancouver, BC, Canada. 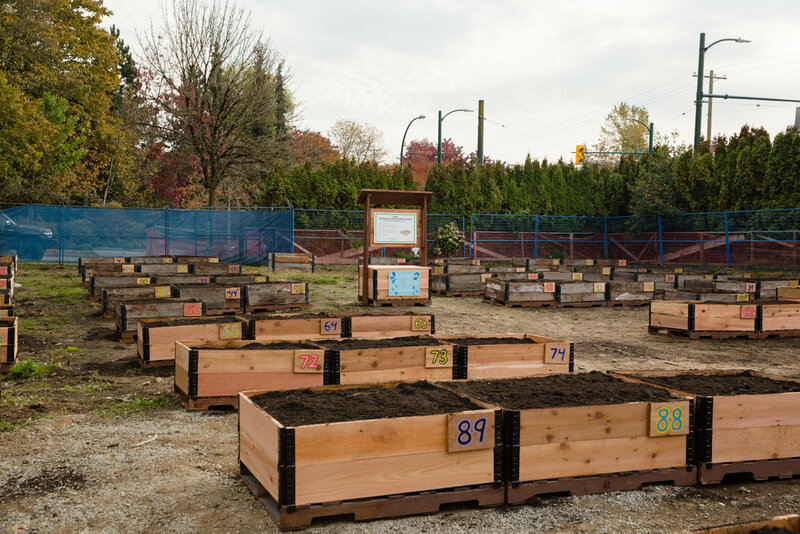 The Oak & 41st Temporary Community Garden is a temporary growing space in the Oakridge neighbourhood of Vancouver, BC, Canada. The Dunbar & 40th Garden is our longest running temporary growing space in the Dunbar neighbourhood in Vancouver, BC, Canada. The Cambie & 59th Garden is a temporary growing space in the South Vancouver neighbourhood of Vancouver, BC, Canada. The Dunbar & 39th Temporary Community Garden is a temporary growing space in the Dunbar neighbourhood of Vancouver, BC, Canada. The Broadway & Victoria Garden is a temporary growing space in the Commercial Drive/Grandview Woodland neighbourhood of Vancouver, BC, Canada. The Hastings North Garden was a temporary growing space in the Hastings/Sunrise (East Village) community of Vancouver, BC, Canada. The SSFU Learning Garden was a temporary educational garden in the center of SFU’s Burnaby Campus. The Southeast False Creek Garden was a temporary growing space in the Olympic Village in Vancouver, BC, Canada. The South Capilano Community Garden was in North Vancouver, BC, Canada. The Drive Community Garden was a temporary growing space on Commercial Drive in Vancouver, BC, Canada. The Clark & 12th Community Garden was located in Vancouver, BC, Canada. The Burke Mountain Community Garden was a temporary growing space on Burke Mountain in Coquitlam, BC, Canada. The Grouse Garden was tucked away in a commercial property in North Vancouver, BC, Canada. 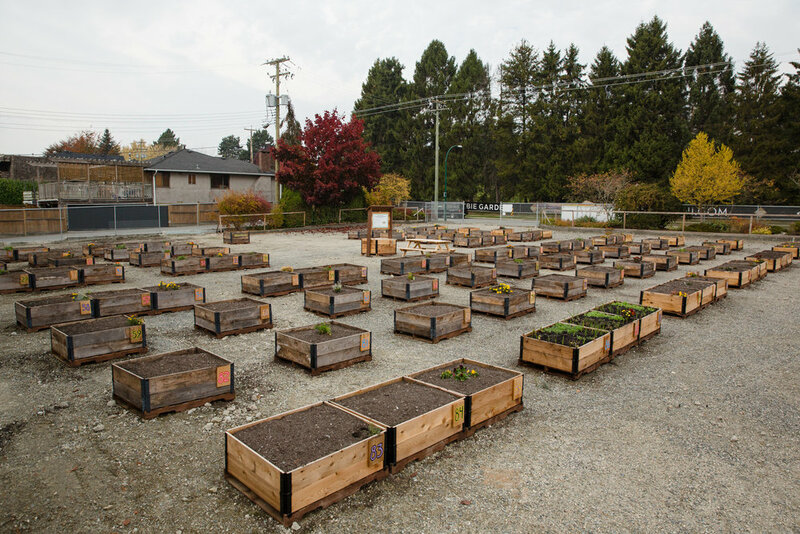 The Kwantlen Student Association (KSA) built its first on-campus community garden at Kwantlen Polytechnic University’s (KPU) Surrey Campus with 16 raised garden beds. This garden was built for NOW Developments to achieve LEED Accreditation with their Commercial Drive multi-unit low-rise residential property. The Prism Garden is a parking-spot sized garden in a Bentall Kennedy building in Burnaby , BC. The garden creates a space for staff engagement and lunch greens. The Acorn Garden was a collaboration with Victory Gardens from Vancouver, BC, Canada. The small garden is located on a private residential property in the space of two parking spots. The UBC Farm Planting Project is a collaboration between UBC and Shifting Growth with the financial support from The Federal Government of Canada and The Evergreen Foundation. The Burnaby St. Garden is a small growing space for residents of the private multi-unit downtown residential property to grow fresh herbs and a space to connect with their neighbours. 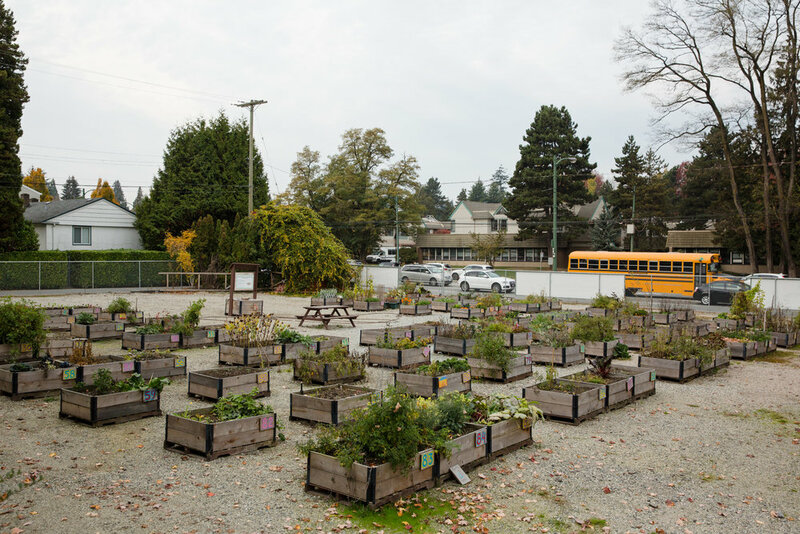 The Legacy Leaders Academy Garden in South Vancouver utilized a large concrete area within the school courtyard to install eight 2’x4’ raised garden beds, lined along the walkway into the school. The Gordon Neighbourhood House Urban Farm Garden is a growing space in the West-End of Vancouver. Built in 2014, the garden has 24 community garden beds and seating. The Maillard School Garden in Coquitlam, BC was created with the help from the kids and parents. 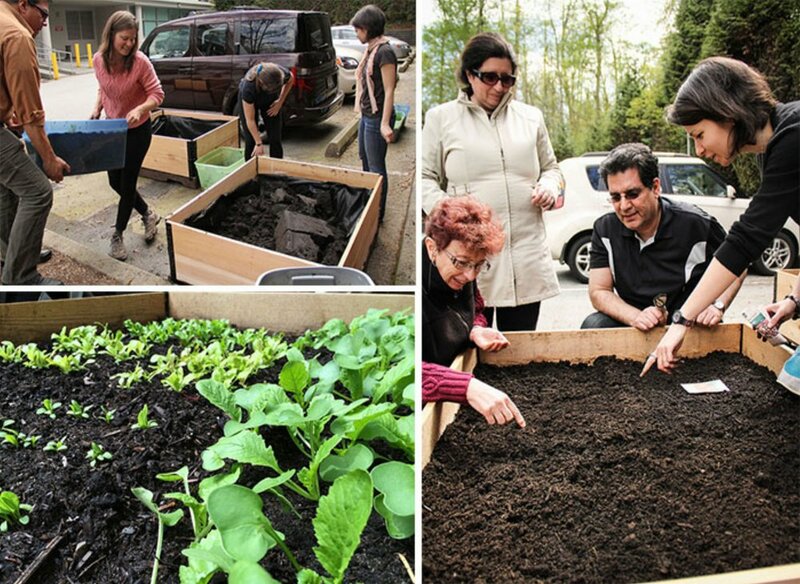 This quick, instant raised garden in the City of Surrey, BC is adjacent to a temporary housing project. We once had a beautiful demonstration chicken coop made by Duncan’s Backyard Henhouses. A gallery of our prefabricated raised garden beds on other private residential properties.